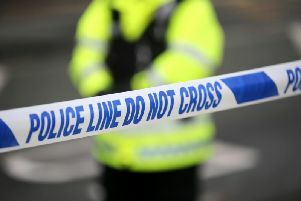 Shocked staff fled a Co Armagh shop after activating a panic alarm during what is believed to be an attempted robbery. DUP Cllr Gareth Wilson praised staff at the Spar in Tandragee for their quick thinking in what was a ‘tense and frightening situation’. The Armagh, Banbridge and Craigavon Cllr said he ws concerned following the incident in Church Street at around 9pm on Tuesday night. He said he spoke to police at the scene and was shocked to learn that staff had to flee the shop and he also praised staff as they were able to activate the panic alarm in what he described as a ‘frightening’ situation. He said: “The people of Tandragee are shocked by this incident and indeed the staff members who were working in the shop on the night have been left upset and frightened. He continued: “I understand that someone entered the shop in a threatening manner and made an escape after accessing rooms on the first floor of the building.